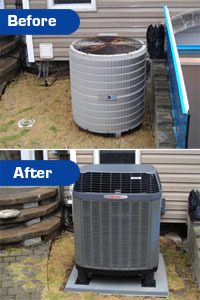 Hancock Refrigeration has many testimonials verifying our quality heating, air conditioning, & refrigeration service to southern Maryland. Please view these references and images below of our quality services. On behalf of the members of the Auxiliary, I want to express our sincerest thanks to you for your prompt response to our emergency call this past weekend. As you are aware, we had a potential tragedy, financially, and we greatly appreciate all you did to try and remedy our problem. We are glad to know that our call for help will be answered quickly by someone from our community. Thank you again for your concern and your dedication to your job. “On my return from Daytona on a cold Monday, I found a Law office without heat. I was not alone as your company was spread thin with numerous calls. However, you somehow found time to stop by the office to check the furnace. Your conclusion was correct, namely that rather than having been filled to the brim, my fuel oil tank at the law office was partially filled and had run empty. Apparently this was attributable to the inexperience of the new driver for the oil company. 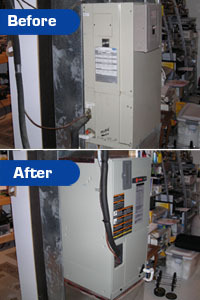 Call Mark or Brad of Hancock Refrigeration today at 301-475-8298 or 800-863-1259, or browse our website for more information regarding our residential heating & AC services or commercial refrigeration services. If you have any other questions or comments, please e-mail us.